By providing digital solutions for dental technicians, DGSHAPE contributes to helping dental laboratories take advantage of the benefits brought by digitalization, including reliable, high-quality production on demand in a short time. 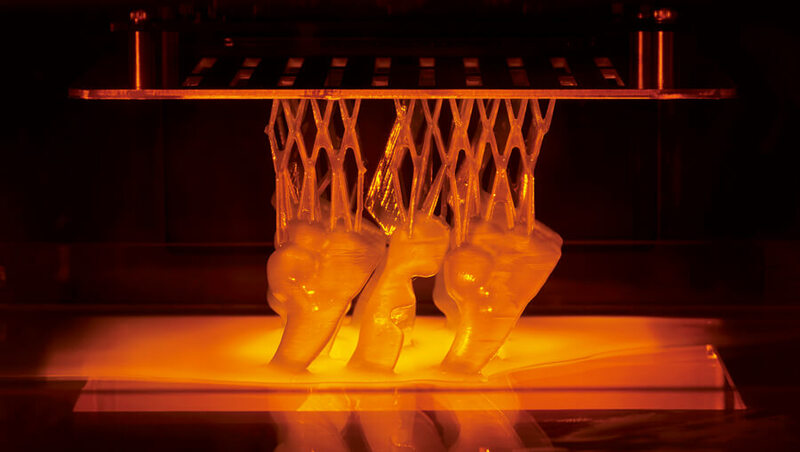 In the field of dental prosthetics, advances in digital technology and materials, including zirconia, composite resins and glass ceramics, are leading to more and more dental laboratories and clinics installing digital systems consisting of CAD/CAM software and milling machines to replace conventional casting methods. 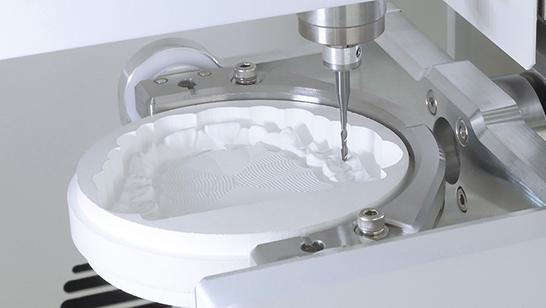 Believing that its technologies and know-how related to 3D milling could contribute to improving the workflow of dental laboratories, Roland DG entered the market in 2010 with the DWX-30 4-axis dental mill, followed by the launch in 2011 of the 5-axis DWX-50 high-performance model. In 2017, Roland DG transferred its 3D business to a newly-established, wholly-owned subsidiary, DGSHAPE Corporation, to dedicate more time, energy and staff solely toward the development of innovative dental and other 3D solutions. Today, DGSHAPE continues to expand its customer base by offering solutions to dental laboratories all over the world. Going forward, the company intends to extend the scope of its business to include dental clinics. 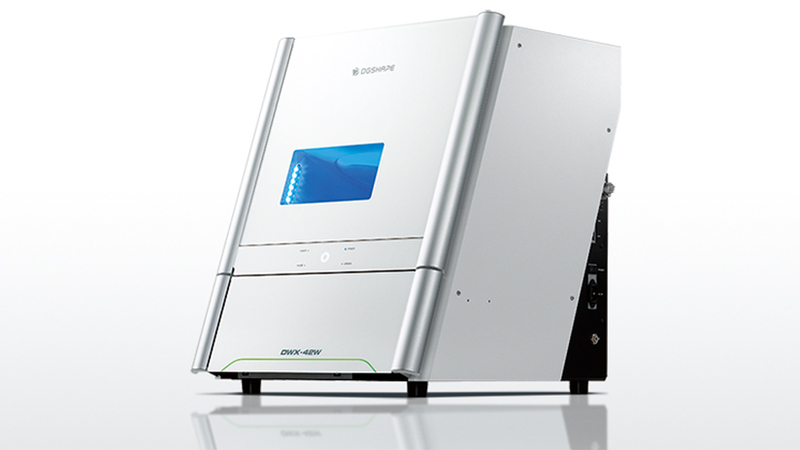 The DWX series of dental milling machines has been highly praised for its advanced machining precision as well as its desktop size, user-friendliness, open architecture for use in combination with popular CAD/CAM software and scanners, and affordable price, and is used in dental laboratories around the world. The current lineup includes the DWX-51D 5-axis dry mill, the DWX-52DC 5-axis dry mill with an automatic disc changer, and the DWX-4 4-axis compact dry mill which are all optimized for processing zirconia and hybrid resins, etc., plus the DWX-4W 4-axis wet mill which is specially designed for milling glass ceramics, a material which is gaining support from dental clinics and patients for its superior hardness and aesthetic qualities. 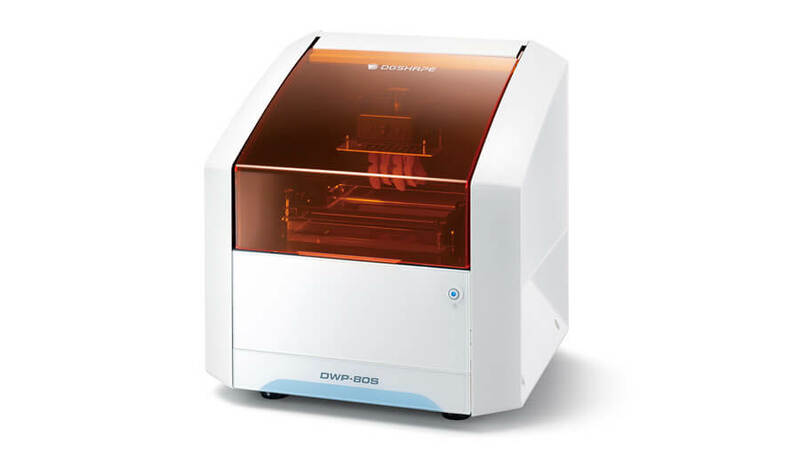 The DWP-80S dental 3D printer is specifically designed to streamline the denture fabrication process. 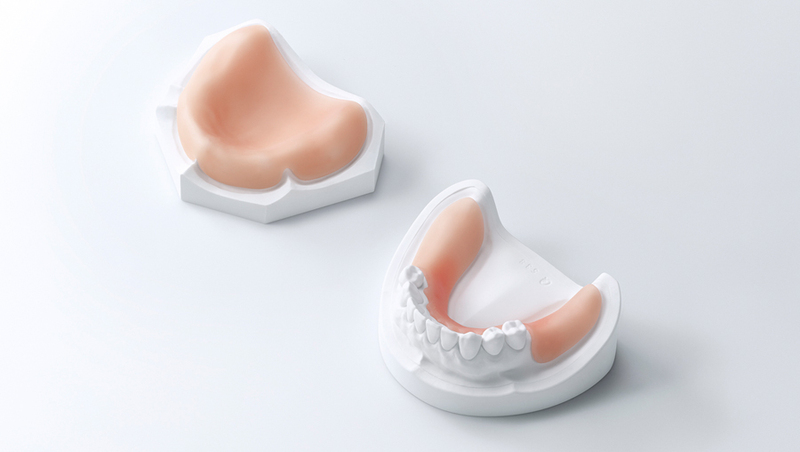 Traditional denture fabrication relies heavily on manual processes, which require a tremendous amount of labor, skill and years of know-how, the DWP-80S helps automate several of the most technical and precise parts of the fabrication process. 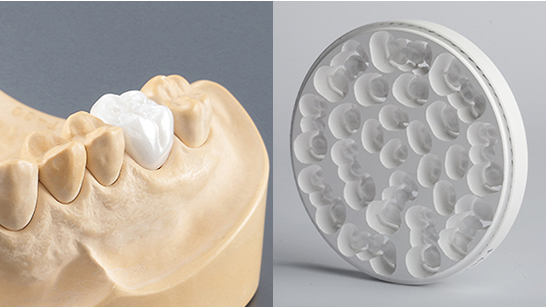 Bundled with the DWP-80S, new Quick Denta software provides a remarkably simple solution for the 3D printing of custom trays, base plates and frameworks. 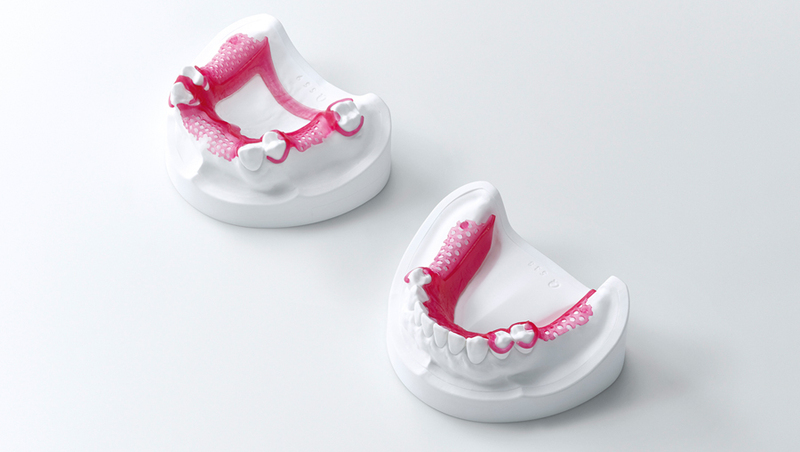 Using the easy-to-follow workflow wizard with pre-configured parameters, applications required for dentures can be printed in three simple steps, eliminating the need for time-consuming learning or editing time. As technology continues to revolutionize the dental field, an increasing number of dental laboratories are installing digital systems consisting of CAD/CAM software and milling machines to replace conventional casting methods. 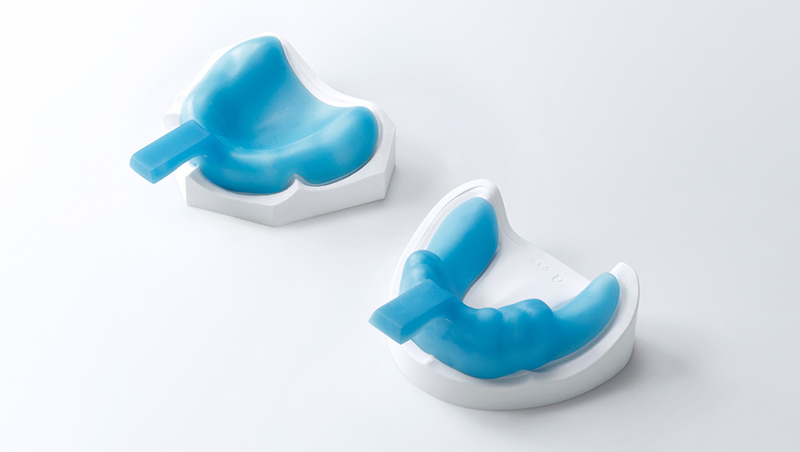 New materials for dental prosthetics have also appeared, such as zirconia, composite resins and glass ceramics, and there has been an accelerated increase in the installation of digital systems for efficient processing of these materials. Manufacturers who provide systems like these often sell closed systems comprised of sets of scanners to capture the contours of the tooth, CAD/CAM software, milling machines and proprietary materials which created a barrier to the installation of digital systems for dental laboratories concerned with a large initial investment and the low degree of freedom in choosing the materials they preferred to provide to dental clinics and patients. 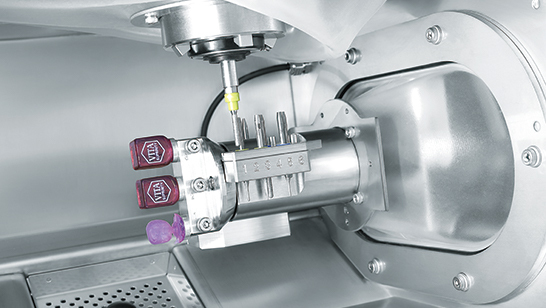 Within this market environment, Roland DG launched the DWX series dental milling machines in 2010 to apply its 3D milling technologies cultivated over a quarter of a century. 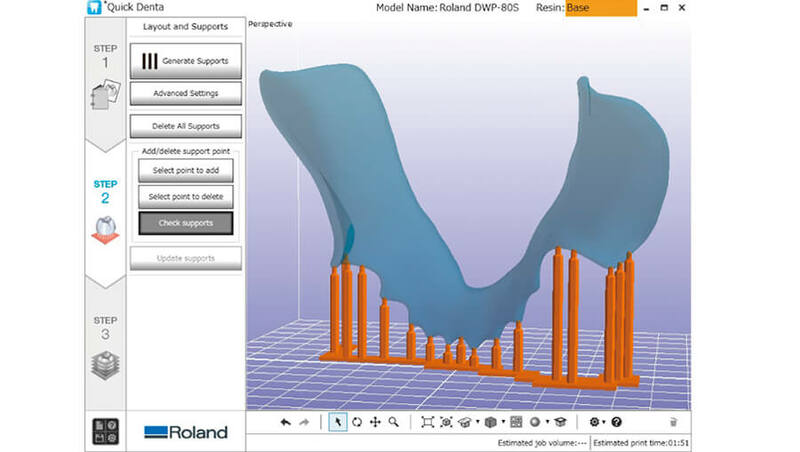 The DWX series at once established Roland DG’s presence in the market and was highly regarded for its desktop size, user-friendliness, open-architecture for use in combination with popular CAD/CAM software and scanners, and affordable price. 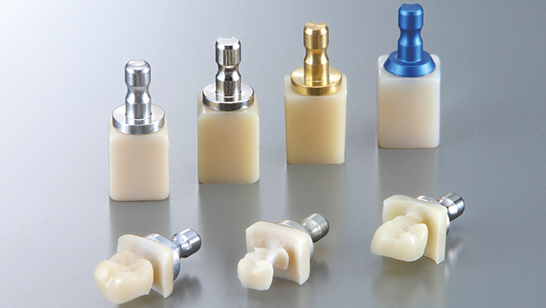 Today, the DWX series is widely adopted in dental laboratories around the world, and is contributing to streamlining the workflow of dental prosthesis production. 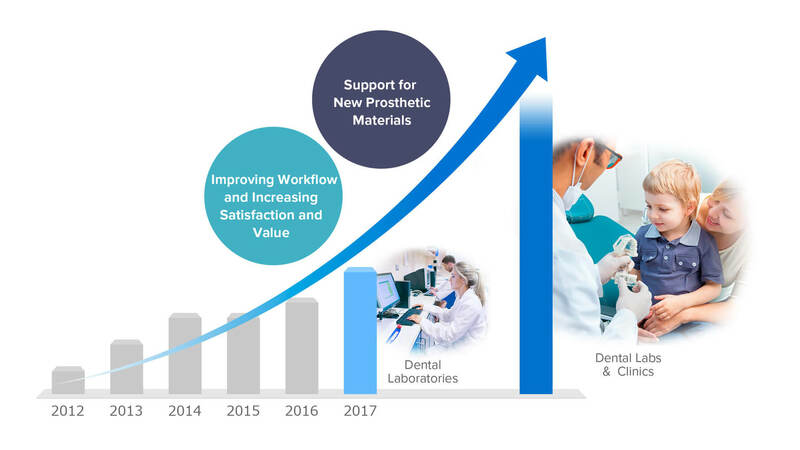 As it works toward future business expansion, DGSHAPE is promoting activities to reach the mid-term objectives of “strengthening the ability to support new dental materials,” “acceleration of global expansion,” and “developing high value-added solution for the dental industry.” In the dental market, an important requirement for DGSHAPE is to support new materials. We therefore pay close attention to the new product offerings of material manufacturers and the needs of patients and dental clinics in order to offer optimal processing methods as quickly as possible. 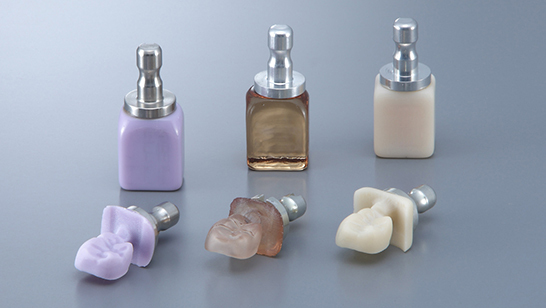 Meanwhile, in dental laboratories, much prosthetic production work is still carried out manually and it is obvious that there are more opportunities where DGSHAPE’s digital solutions can improve the workflow and add value. We are committed to developing and providing optimal digital solutions for further growth in the dental industry.